So, if you’re planning on a vacation soon, have you considered summer pet boarding? 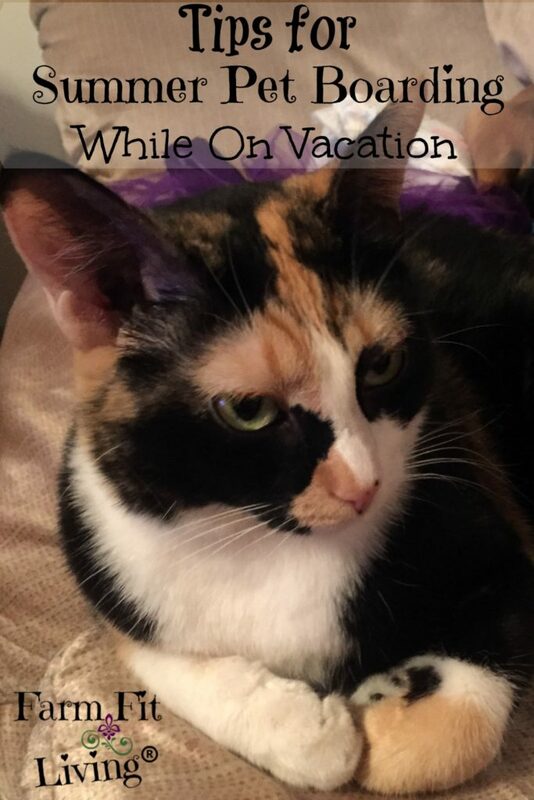 Summer pet boarding should be considered in vacation planning. We all think of our pets as part of the family. It is as important to find a healthy temporary home for your pet if you can’t take he/she along on your vacation. Finding your pet a great place to stay while you’re gone is just good responsible pet ownership. You have every right to go on vacation. Just find a pet sitter you trust to give your pet the same care you would if you were home. But, sometimes in our rural world, it can be difficult to find someone to pet sit. Do you ever feel this way when you are planning to leave them behind? 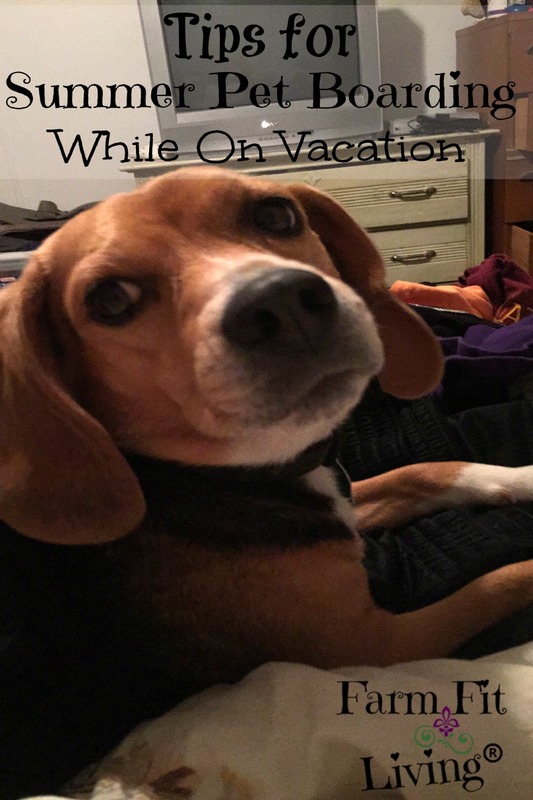 Because you don’t want to leave your pet with just anyone when you go on vacation, right? Luckily, there’s always somewhere or someplace out there that will be able to board your pet. The trick is to understand each place as well as the needs of your pet to choose the right place to care for your pet. Here’s 7 tips for summer pet boarding for the peace of mind for you and your pet. Pets should be up to date on any shots and veterinary care. Pets should be properly identified in case they run away. Pack along any favorite toys or blankets that might help make the boarding place feel more like home. Send treats and food along. 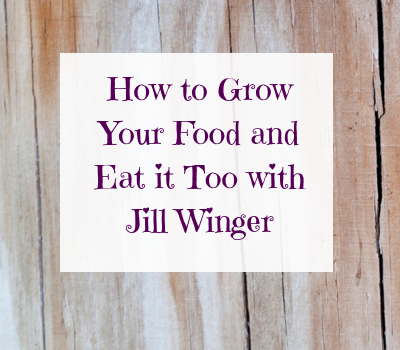 Don’t forget those food dishes! Also, don’t forget leashes for some outside time. Ask about rules of the boarding place to make sure your pet will fit in. Visit the boarding place with your pet ahead of time if you’ve never been. These 7 tips should all be taken seriously when deciding on the right summer pet boarding option. Here are some great options for pet sitters and summer pet boarding places to consider. “Grandma & Grandpa” are always thrilled to dog sit for the grand dog! Your parents or siblings may be great pet sitters you can trust to leave your pet. Relatives are always our first choice to leave our dog Sage when we travel on vacation. But, sometimes those relatives are with us but the pets can’t go. So, other arrangements must be made instead. If you have close friends near by who know the pets well, they are on the list to ask if they could board your pet at their house. These might be friends who have play dates with their pets, so your pet might feel very comfortable there. Having a dog or cat friend with them at the boarding place could really help them feel more comfortable while away from you. Your pet may also be able to stay at home if it’s a larger dog or a cat. Cats are fairly self-sufficient animals. But they do need to be checked on if you will be gone for several days. Food and water should be checked as well as the cleaning of the litter box. This would simply require someone to come over to your house at a certain time and check on your pet. Any other duties with the pet, such as walks or grooming, should be discussed before the pet sitting agreement is made. If friends aren’t up to the task of caring for your pet the way you want them to, that’s ok. Here is an option of a place that would pamper your pet in such a way that your pet may not want to leave. These are trained professionals who are passionate about pets. Generally, pets can roam around and play with other pets if they are friendly. Your pet may or may not have his/her own kennel room with plenty of space for a blanket, pillow and food dishes. Some pet spas/hotels may even have play sets and swimming pools outdoors for pets. This is an exciting perk if your pet loves the water. They will be monitored at certain times in the pool and outdoors just in case. The downside of pet spas/hotels is that they tend to be very pricey. It may not be something you want to spend money. You would definitely want to visit the pet spa to get a good feel of the place to make sure you’re pet would enjoy it. If your pet is not a social animal, this might not be the best option. The last option for summer pet boarding in rural areas would be to board pets with their veterinarian. They would be in a small kennel most of the time, but would have times during the day to be walked outside. This is not the most ideal option for a pet who desires to be very active. It is a cheaper option than a pet spa, but you’d still need to pay for the boarding. But, the upside is that your pet would be cared for while you were gone. You have the peace of mind knowing that if your pet gets sick, they are already at their veterinarian. Any of the above option would be a great place for pets to stay while you are away. When making the right decision for summer pet boarding, consider the needs of your pet. No one knows your pet better than you do. It’s nice to have so many options to consider based on the needs of your pet. It’s up to you to make the right accommodation choice for your pet so you can have a great vacation as well. Make a summer pet boarding plan early so you won’t have to worry about your pet. Make sure you know of everything your pet will need at their boarding place while you’re away. It is so important to be sure your pet is properly identified just in case they would make a break for it. But, above all things, ensure your pet will be safe and happy until you return.